•Listen to the Music and watch to videos ! Yoel Taieb is a guitarist and composer. He is the founder and head of the Techelet Ensemble which has created the modern Jewish Mayim music style. Yoel was born in 1962 in France to a family of Tunisian origin. From a very early age he longed for a guitar and by nine he began learning music by playing the recorder. After a short time Yoel is able to play most of the melodies he hears and can improvise second voices for them. Too, he began to compose music. Yoel began his earnest guitar education at the age of twelve. At first he studied on his own, and later on with some of the best French jazz guitar players, such as Jean Bonnal, Gerard Marais Eric Boell and Pierre Cullaz. During his teenage years, Yoel develops a great admiration for the guitarist John Mc Laughlin (in 1997 and 1999 Yoel meets John when the latter tours Israel). At this time, Yoel and the French double bass player Renaud Garcia-Fons become friends. The two studied together in high school, then played in a jazz big band and, finally, decided to create a trio with percussionist Jean Francois Roger on Tablas. The trio played ethnic music well before it became fashionable. During rehearsals, the musicians found themselves discussing spiritual topics. Yoel, who has been practicing yoga since he was sixteen, was on the verge of rediscovering the immeasurable cultural and spiritual inheritance of his people. Following years of intensive spiritual searching and questioning, and at the time when he was studying classical guitar with Michel Sadanowsky, Yoel discovers the teachings of Rebbe Nachman of Breslov. In Paris, Yoel encounters Rabbi Israel Ber Odesser, one of the elder Breslov Hassidim. This is the beginning of a great new spiritual experience. Breslov Hassidic teachings indeed emphasize the significance of music in divine service; these teachings reveal the power of music to bring one joy, strength and renewal. According to Rebbe Nachman, the final redemption (the Geulah) will be brought about by the revelation of a New Song (A Simple, Double, Triple, and Quadruple Song), which will create World Renewal (Likoutey Moharan, second part, lesson eight). Since his introduction to Breslov Hassidut, Yoel has devoted himself continuously to the search of this Song. 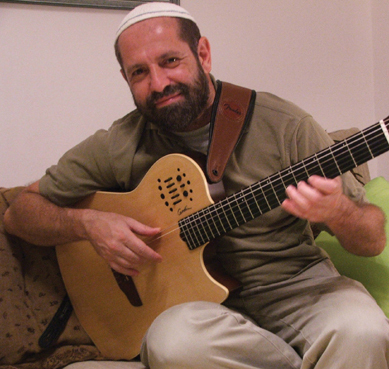 Through integrating various Nigunim (melodies) of great Jewish mystics, and developing a Jewish approach to musical improvising, he has created and subsequently enhanced the Mayim music style. While studying musicology at Sorbonne University, Yoel began intensive research into the field of Jewish music. Yoel attended a course on Jewish music offered by Professor Adler, on sabbatical from the Hebrew University in Jerusalem. Under Professor Adler's initiative, Yoel soon undertakes the opening of the Parisian board of the Yuval Association for Research in Jewish Music and Jewish Musical Tradition Preservation. This pursuit offers Yoel a wonderful opportunity to discover the work of new composers, and to learn more about traditions part of the Jewish world of music. His involvement in this association also provided Yoel with the occasion to make recordings of Tunisian liturgy. Another significant experience will result from Yoel's meeting with the legendary clarinet artist Giora Feidman, at a concert of the klezmer master in Paris. The Feidman songbook Yoel purchases from him will constitute a great source of inspiration. Yoel will introduce klezmer music into the repertoire of the wedding band that he founded at the same time, certainly a musical/cultural innovation during the nineties in Paris. In 1990 Yoel cuts his first record, Chanukah, by request of the renowned Epinay/Seine Yeshiva (Talmudic Institute) near Paris. The Yeshiva required a record of Chanukah melodies. Since it was necessary to complete the recording within a very short time span, Yoel included songs he had composed whose arrangements were yet completed. Still, this recording granted Yoel a good opportunity to introduce his first compositions in Jewish spirit. In June 1991 Yoel comes to live in Israel with his wife and their two daughters, Tsipora and Mayann. Two more children, Binyamin and Noah, will be born in Israel. His wife Orly is a painter and ceramist. It appears that the Land of Israel provided Yoel with the necessary creative energies to continue his work, particularly improvisation and the fusion of various Jewish compositions. Yoel and his family first settle in Raanana, where he created a guitar duo with Assaf Leibowitz. The two improvise on the great Hassidic Masters (such as the Baal Shem Tov, Rabbi Nachman of Breslov, the Seer of Lublin and Rabbi Shneor Zalman of Lyadi) Nigunim (melodies) as well as on klezmer melodies. The duo enjoyed great success in concert. With his aliyah, Yoel realized two profound dreams. Firstly, he was now living in Israel, in the holy land that God promised His people. Secondly, Yoel was now able to study with the composer Andre Haidu. Andre Haidu is also a baal teshuva. He is a former student of Zoltan Kodaly and Olivier Messiaen and an admirer of Bartok. Haidu has set a number of mishna texts to music and has created contemporary works by integrating hassidic melodies. He is also an outstanding improviser. Yoel studied with Haidu for five years and performed with him too. After three years of residing in Raanana, The Taiebs moved to Jerusalem. Here Yoel searched for the most suitable musicians to become part of the Techelet Ensemble. It will take a few years, but finally the band is formed. The band includes, Yoel Taieb on guitars, Reuven ben Chanan on violin, David Louiss on flutes, piccolo and trumpet and Israel Edelson on piano and keyboards. Their first concert, held at the Zionist Confederation House, is a true triumph. The audience is all the more captivated, for they are not accustomed to hearing religious musicians playing outside of weddings halls, especially not music comprised of improvisation, rhythmic and harmonic investigations, and Jewish melodies profuse with spirituality. Techelet signifies in hebrew Azure, a color symbolizing Jewish spirituality. 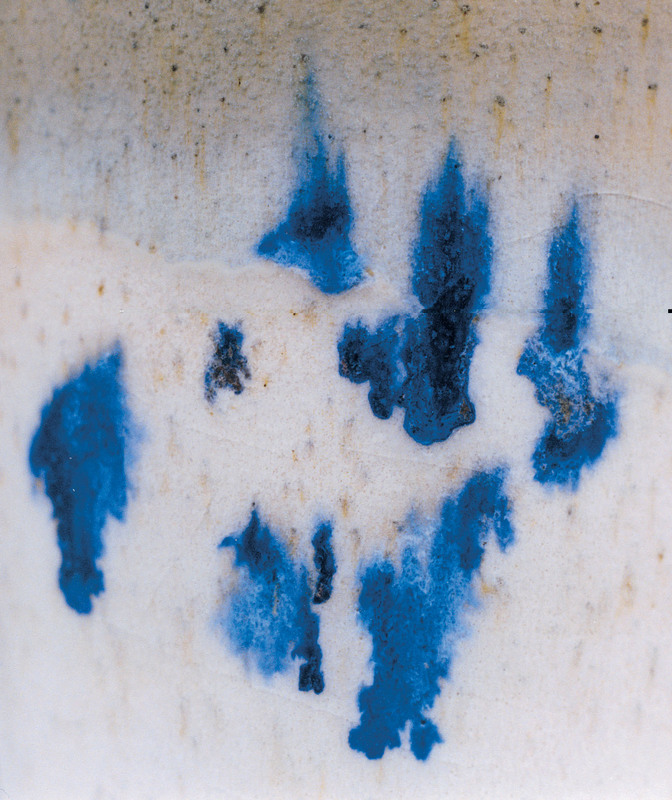 This color is used to dye the tzizit fringes which remind us of the Sky and God and in such protect us from sin. Rabbi Nachman of Breslov teaches that there is a unique and profound connection between Azure, the Land of Israel, King David, and the New Song which will be revealed by the Messiah (see Likoutey Moharan, first part, lesson 49). In December 2001 the Techelet Ensemble produced its first CD "And I will hope for Him". Yoel, who envisioned the CD as a complete art endeavor, was responsible with his wife Orly, for the design conception of the Cd's cover booklet ( Yoel commends the accomplishments of Manfred Eicher, the founder and president of ECM Records) . The CD has enjoyed a very warm reception from the public as well as from the press. In August 2004 a second CD was realized. This disc contains a work dedicated to the memory of victims of the Holocaust, entitled "Future World". A forty-minute improvisation on a theme of Israel Edelson, pianist of the group. Many press articles saluted the originality of this second CD, including improvisatory art of the group members, That is reaching here a climax. In April 2011 the french TV channel France 2 has broadcasted a programm of the "Source de vie" (Josy Eisenberg) dedicated to Yoel Taieb and his musical art inspired by the nigun: "Le Nigun de Dieu"
In Februar 2011, Yoel Taieb has edited his fourth cd intitulated "Did you look at the sky today". This is his third album with the Techelet Ensemble. The band is composed of a lot of new musicians among the best israelis improvisers. In this new album we find 8 original tunes composed by Yoel Taieb. All of them were composed, recorded, mixed and masterised in Jerusalem. They are Shire Tsion , niguns of the Land of Israel and more particularly of Jerusalem. They use a modern musical langage that mixes spiritual melodies and the art of improvisation at a very high level. A jewish and israely art work linked with the renewal of the prophetic inspiration among the jewish people back on his land. A art work that was received with the same enthusiasm by the different streams of the israely society as many press articles testify. The band has appeared on several TV programs, and performed at the major music festivals held in Israel. Yoel plays a Godin Multiac Nylon guitar, a Gibson SG electric guitar, a Yamaha classic guitar with a pick up, and a spanish hand made guitar by Jaime Escodas Ivars that he amplifies with a Schertler pick up.